FaceAether Windows Login has a unique patented cutting edge technology that provides the best security to your computer. 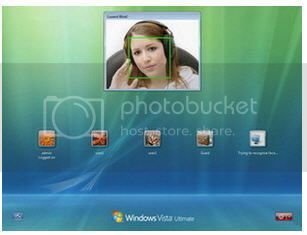 It’s one of the better face recognition softwares for Windows 7 out there. It has a really fast recognition time. Your face can be recognized in one minute. Your face is what you are; your face becomes the key! That’s what they say. I like their tagline. It comes into two versions the normal one and the Pro. 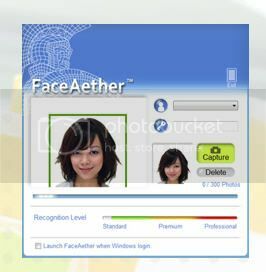 What’s unique about the FaceAether Windows Login pro is the ability to use Face recognition on web pages. You really do need this feature. It is ideal to prevent unauthorized access into websites like Facebook. Ah, I wish I had this when my Facebook account got fraped! Blink uses your webcam to capture photos and helps you to make a user account. 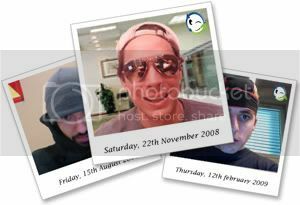 Later, whenever a person tries to login, the web cam reads his/ her face and matches it against a pre-stored collection of users and logs in to the right account. It also has a special algorithm that compensates for changed hairstyles, glasses and contact lenses. It also keeps a record on who logged in when, and who attempted to log in. It also takes pictures of thieves who tried to access your computer. The user interface is quite user friendly and looks neat too. Setting up a new account hardly takes any time. You can configure everything within five minutes and once done the software minimizes itself to the system tray. Next time when you log into Windows Blink will automatically enable your webcam and ask for authorization. All you need to do is just sit normally in front of the camera and you’re logged in! Lemon Screen automatically locks your computer when you move away and unlocks it back when you are again in front your computer. It is a simple fun and convenient application to lock and unlock your computer using your face. Lemon Login uses your face to log in to your computer. You can check more about Lemon Screen and Lemon login in our previous review.